Fantastic Media has delivered a new visual identity for Premier League newcomers Huddersfield Town. The Leeds agency built on the idea of 'terrier spirit', a phrase coined by head coach David Wagner last season as the club secured promotion to English football's top flight for the first time in 45 years. Fantastic developed a new terrier as the visual representation of this. 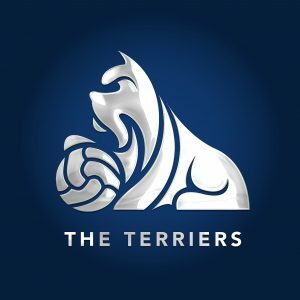 “Fantastic Media has a great reputation in the sports marketing sector and have also been a long-term supporter of the club, so it was natural that we chose them to create this new terrier,” said Huddersfield Town’s commercial director, Sean Jarvis. Paul Whitcroft, creative director at Fantastic Media, said the identity had been developed after a workshop between the club and Fantastic. “We looked at a number of different identities along the Yorkshire theme and the club’s blue and white colours. We kept coming back to the Terrier because it is absolutely unique to HTFC, whereas Town are not the only team to play in blue and white or who are from Yorkshire."